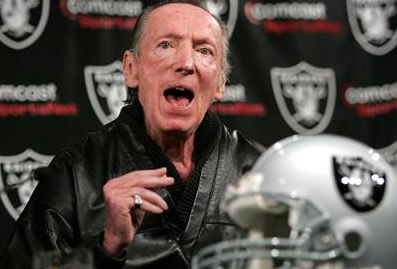 The Oakland Raiders lost a huge piece of their heart today, their owner, Al Davis has died. The team announced his death on their official site, and the family will be giving a statement later on today. I will get that updated on here as soon as it happens, so check back. He was involved in the NFL for 60 long years and he was inducted into the NFL Hall of Fame in 1992. Now… the question is… will this bring on more wins for the Raiders or will their struggles continue?